Welcome to The Game Plan! If you’ve ever seen The Coalition – Singapore’s Crazib driving an Object 140, you’ll know he’s quite the expert with this tank. So who better to school the general public on the best way to play this fast-moving damage-dealer than he? Here, he shares helpful tips for making full use of the Object 140’s armour, and what equipment to bring to a firefight! The Object 140 is a versatile Tier 10 Russian medium tank that is seen all too often in random battles, clan wars and tournaments, as it’s a great tank that can take on a variety of roles. 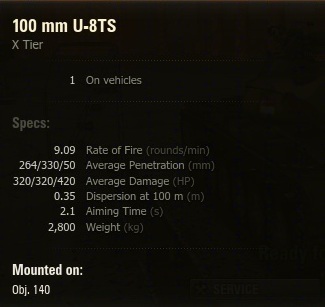 But what’s so special about the Object 140 that makes players want to choose it for their tank line-ups? My philosophy is that the gun makes the tank, so let’s take a look at the gun stats! Although its alpha damage of 320 is pretty low for a Tier 10, the Object 140 overcomes this weakness with a blistering rate of fire and a pretty healthy APCR penetration of 264mm, accompanied by a staggering 330mm penetration on its HEAT ammo. With the ability to fire a rapid 9.09 rounds per minute, this means that with BIA and rammer you would be able to achieve a 5.57-second reload, so if you are up against most heavies, mediums or tank destroyers, you would be able to trade 2-3 shots for each shot of theirs. Also, with that kind of reload speed, you could track an opponent and hold him in place! The accuracy of the Object 140 gun is decent at 0.35, but I prefer to keep my engagements within 300 metres as beyond that, the shells sometimes fly out of target range. Aim time is reasonable as well – 2.1seconds – and the Object 140 has a low reticule bloom while moving and turning the turret, so firing on the go or acquiring new targets is pretty simple. Furthermore, the Object 140 gets a comfortable -6° depression and +17° elevation on its gun; while worse than its NATO counterparts, it is much better than the other Russian mediums. This allows you to work different types of terrain with ease. Another major factor that I always look out for in a medium tank is the mobility stats, and as we can see here, the Object 140 has a good 55km/h for its maximum top speed and a decent reverse speed of 20km/h, which allows you to pull back into a corner after every shot. Also, it has a very good hull traverse rate of 54 degrees; combining that with a decent 40 degrees of turret traverse, it can effectively engage any would-be flankers or switch targets quickly. However, its engine power is limited to 580 horsepower, which in turn limits its power to weight ratio to 16.25 –slightly average for a medium tank, so accelerating might take a while, especially on uphill climbs. 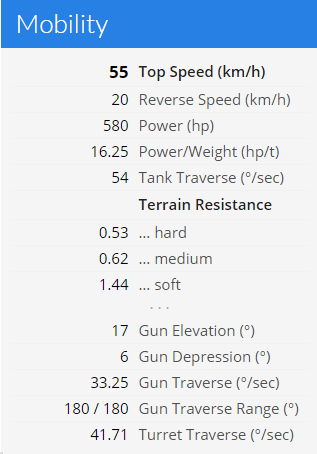 But the Object 140 does receive some good terrain resistance stats that allow it to traverse different types of terrain. In this section, I talk about the strongest points of the Object 140 that will enable it to last in battles. At 1900 hit points, the Object 140 can take a bit of a beating before it goes down; however, a fully-loaded Bat-Chat 25 t has a chance to clip off your full health pool to zero if you are not careful. The Object 140 does have good camouflage values, on par with some of the light tanks, so it can do scouting work when needed. However, unlike a light tank, it does not retain the same camouflage values while on the move. 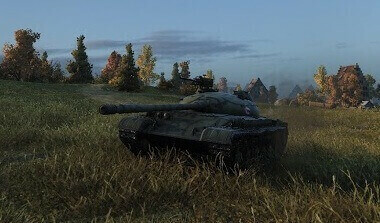 As we can see here, the strongest part of the Object 140 is the turret front, but unlike its cousin the T62A, its armour profile does have some weaknesses. Here in the picture below are the weak spots of the Object 140. Other points: On level ground, the lower plate actually has better angling than the upper plate, so try not to aim at the lower plate unless you have a flat angle on it when shooting at one. 1: Try to find terrain to hull-down. 2: Try to make irregular movements with your turret to make it harder for your opponents to accurately hit its weak spots. 3: You can sidescrape against enemy tanks, but I would never recommend sidescraping against tanks with high-penetration guns. 4: When peeking out of a corner, try to angle your frontal hull armour to a 30-45 degree angle and hide your frontal drive wheel. 5: If you are caught out in the open, always try to angle your frontal hull – it might get some lucky bounces. 6: The Object 140 does have frontal fuel tanks and ammo racks that are located at the front of the hull, so try to mitigate damage in those areas with the tips I have given. Here I present the possible equipment and consumable combination setups for your Object 140. Basically this is the standard setup that revolves around getting view range; having Large Repair Kits ensures that I have an extra 10% repair speed to my modules, and also allows me to repair multiple damaged modules. The Large First Aid kits provide a bonus of 15% protection to crews from injuries. An Automatic Fire Extinguisher is a must as it adds 10% protection from fire – the Object 140 does receive frontal fuel tank damage often and thus does get set on fire regularly. Now this is a setup designed for pure combat, focusing on damage per minute. Combined with the Brothers In Arms skill, this setup will enable a potential 5.22-second reload! The total crew bonus given by the Ventilation and the Rations also helps in gaining extra view range. The only drawback to this setup is the lack of First Aid Kit, but if you can bear with dead crews, then by all means. Please take note however that the Automatic Fire Extinguisher remains mandatory. This is my preferred ammo loadout. I generally take more HEAT for the more heavily armoured tank encounters, especially since most maps in World of Tanks tend to favour close-quarters combat. The high explosive rounds are used for resetting capture zones, or for WTE100 family encounters. In this section I will recommend the first 4 sets of skill crews. 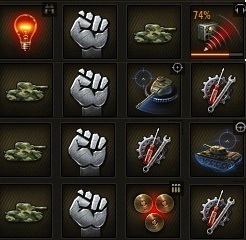 This is a rather standard medium tank crew skill setup which focuses on gun performance; a medium tanker needs to expose himself as little as possible. It also enhances the Object 140’s ability to shoot on the move! Camouflage and Repairs are the necessary survival skills that you would need to last longer on the battlefield. The motto of a medium tank is to always be mobile to avoid being shot at, to gain a positional advantage against your enemies, and to surprise your opponents by popping out at an unexpected angle. The Object 140 has the necessary characteristics to do all of that. With a healthy 5.57-second reload on the 100mm gun, which has good handling, you can surely pound your opponents into submission if they are caught out in the open. If an Object 140 is up against most tanks, it can easily out-trade them as it is able to deal 2-3 shots for every 1 shot. Avoid trading 1-for-1 shots, especially against heavy tanks and tank destroyers. The armour on the Object 140 is workable – use your mobility to get into strong hull-down positions. But you will still need to be aware of the weak spots of the Object 140 that I have pointed out in this guide. Your armour is just a safeguard if you are caught out in a bad position. Overall I would say the Object 140 is one of the most versatile medium tanks, with a good mix of mobility, gun characteristics and armour – all of which contribute to its popularity in Tier X.